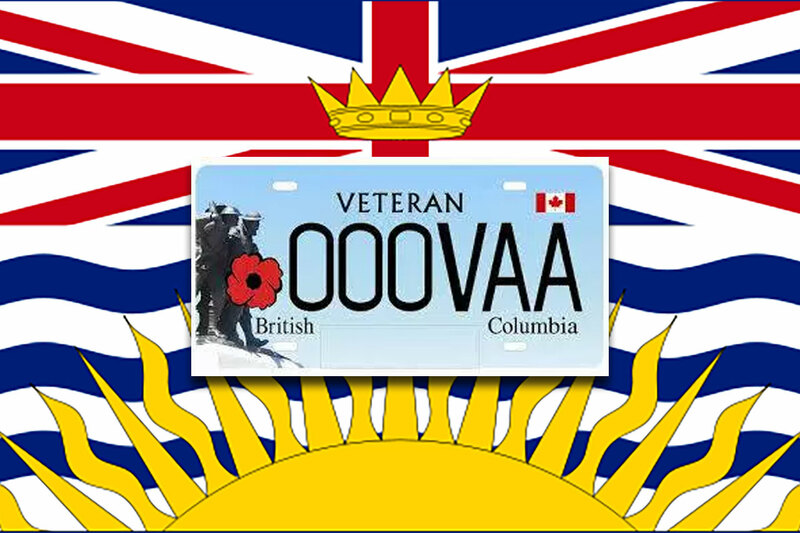 This summer, the provincial government of British Columbia has issued a survey to residents of the province to solicit their views on the merits of enhancing eligibility to BC Veteran vehicle licence plates for members of the RCMP. At present, BC issues Veteran plates to any member of the Canadian Armed Forces who has served and was honourably discharged or is currently serving and has successfully underwent basic training. The minimum requirement for an applicant applying as a military veteran is the completion of basic training and an honourable discharge. There is no minimum service time, nor any requirement to serve outside of Canada to qualify. BC also presently accepts applications from members of the RCMP, municipal police forces or Correctional Services of Canada who have served in a UN or NATO Operation under the command of the CAF. Only those police or correctional officers who have served overseas in this capacity are presently eligible for Veteran plates in BC at this time. For the purposes of issuing VLPs, there is no current consensus within Canada on the definition of a veteran. There is much context and a variety of perspectives that must be considered before any decision can be made on whether changes to this program would be appropriate. To better understand where British Columbians stand on this issue, the Province is seeking public feedback to help guide any future program decisions. For some years now, the RCMP Veterans’ Association has been advocating for changes to eligibility criteria at the provincial level to deem RCMP members eligible for Veterans plates for our service to Canada; regardless of whether that service is performed in Canada, abroad, or both. As you will note from the foregoing, there is no overarching requirement that a Canadian military veteran serve overseas to qualify. The Royal Canadian Legion has been a strong ally of the RCMP Veterans’ Association in this initiative, and they have proactively taken a lead role in the current debate in BC, in a strong and visible way. In February 2018, then President Al Rivard of our Association wrote to Dominion Command of the Legion and presented our position on the justification for deeming RCMP members eligible for Veterans plates in all provincial and territorial jurisdictions for service; regardless of whether it was domestic or foreign. Click here to see President Rivard’s letter to Danny Martin, Deputy Director Administration, Royal Canadian Legion. The debate on both sides of the issue is animated. Click here for a recent media report that captures some of the emotion involved. The eligibility criteria across the country is not uniform. Newfoundland & Labrador, Ontario, Quebec and Nova Scotia issue Veteran licence plates to RCMP Veterans, regardless of where they served. All other provinces, including BC, currently require RCMP Veterans to have served in a UN / NATO operation as a prerequisite. The BC government survey will conclude on September 4, 2018. If you support the issuance of Veteran licence plates to RCMP officers, as consistent with our status as Veterans, we encourage you to take the time to complete the survey and have your voice heard. It is a brief survey and takes 5 minutes or less to complete it. If we wish to be heard on this issue, this is our window. It is highly unlikely that this question will be revisited at anytime in the foreseeable future, and the position that the BC government arrives upon is likely to remain policy indefinitely. Whether you support the proposal or not, this is the time to have your say. Thanks for your consideration. Note: While the survey is open to residents of British Columbia, this bulletin is being distributed nationally as the issue has national relevance.